We are a small family run business operating two Bodyshops. Iain Ross Refinishing Centre just outside Perth in Luncarty & Rossco Smart Repairs Ltd in Perth, close to the Motor Mile. We pride ourselves on our extremely high standards and carry out work for many local businesses, dealerships & individuals. Our clients number some of the most prestigious and long established in Perth. Our highly skilled team are passionate in providing the highest standards of excellence in the repair of your vehicle. Your car will leave our centres in immaculate condition, the repair will take as long as required. We do not hold with the big bodyshop policy of “as fast as possible”. We firmly believe in the care taken and pride in the finished repair. Thank you for taking a moment of your time to visit our website. Did you Know this useful tip? Your Insurance Company may not choose Ian Ross Accident Repair Centre as they may have an agreement with another repairer. 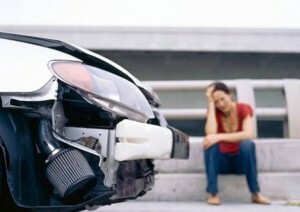 But, remember, whoever insures your vehicle, it´s YOU that has the final say. So you can choose where it is repaired. From the moment you walk through our doors or speak to ourselves on the telephone, you can be sure of the highest quality workmanship and a level of customer service that is second to none. We work to the strictest standards in every area – from our premises, equipment, training and bodyshop skills, to working practices, customer service and quality. And that’s why Ian Ross Accident Repair Centre are the right choice for repairs to your vehicle. We are a small family run business operating two Bodyshops. Iain Ross Refinishing Centre just outside Perth in Luncarty & Rossco Smart Repairs Ltd in Perth, close to the Motor Mile.